It’s my 2 year Doodleversary! Two years of drawing all the chats I’ve had with my amazing son and two years of learning how to draw. Thanks to everyone who have supported me up till now. Don’t go! I have enough for a few more years. 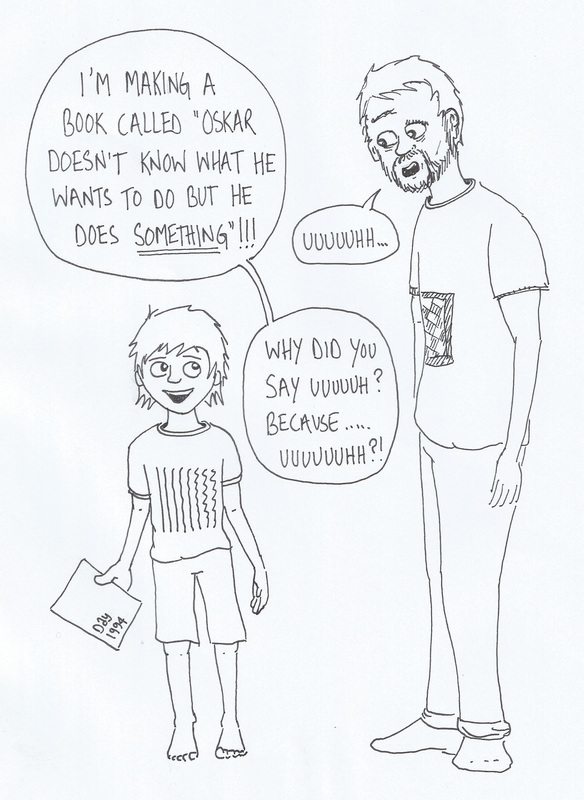 Here is a guest comic by my son and number 2 fan (his words). It’s me, drawing at the desk in his room. I’m smiling and humming and it looks like I have an eye patch plus massive muscles. So, this is the first ever guest comic for Fatherhood. Badly Doodled. This is by the amazing and talented Griefers AFK who has really captured the style and tone of my comic, and also achieved the task of making me look loads better than I do in real life. Have a look at griefersafk.com and on Twitter @GriefersAFK for more cool stuff.